When it comes to Sunshine Coast hotels this Alexandra Headland apartments will always be the best choice for everyone. With a great range of one, two and three bedroom apartments to choose from they are perfect for singles, couples, families and friends. The apartments at this Alexandra Headland accommodation Sunshine Coast all feature spacious interiors, modern décor, fully equipped kitchen, laundry facilities and the best feature is the large private balcony, where you can all enjoy the spectacular views and soak up the sun. the apartments also have air conditioning and ceiling fans for when the summer sun becomes too hot, and free internet access so you can keep connected all the time. 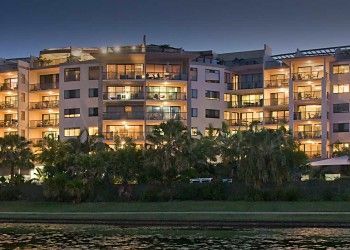 The onsite facilities at this Alexandra Headland accommodation are very impressive, a large heated lagoon pool with sloping entry, 15 metre lap pool, children’s pool with waterfall, heated spa in the tropical garden, gymnasium, sauna, full sized tennis court, half basketball court, children’s playground and secure undercover parking. There is also a day spa in room service if you need some extra relaxation and we can organise babysitting so you can go and enjoy a romantic evening on the town. 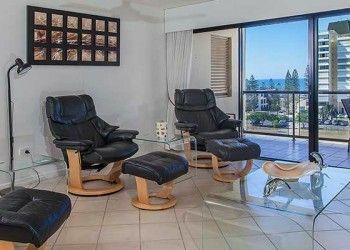 These serviced apartments accommodation Alexandra Headland also have onsite management and a tour desk, that are around to help you plan any trips or tours that you wish to par take while you’re on holiday. Walk to the nearby patrolled beach, coffee shops, cafes, restaurants and shopping, all a short walk from this centrally located accommodation at Alexandra Headland. Book this Alexandra Headland apartments now for the holiday you have all been craving.